Slippery Rock School District officials said asbestos in the cafeteria of Slippery Rock Area Elementary School is not a danger to students. 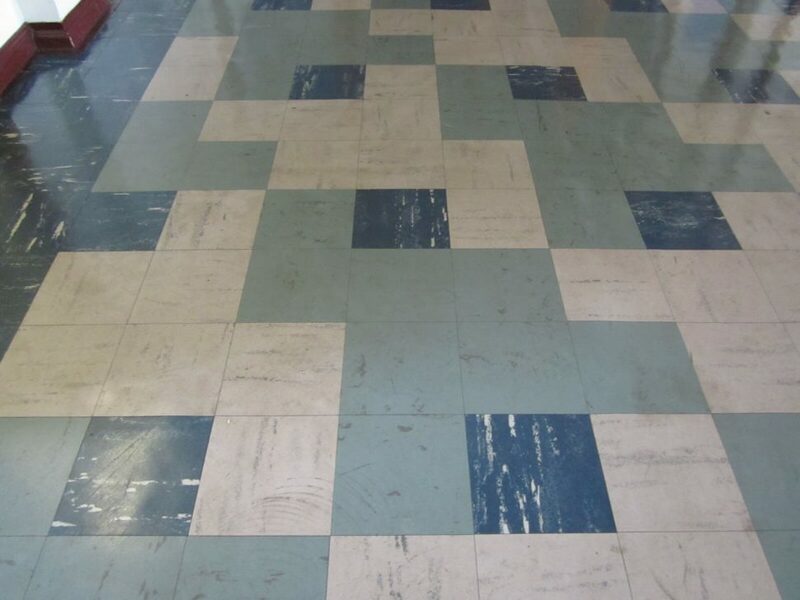 During a renovation in 1996, vinyl composite tile flooring was placed over the original floor tiles, which were found to contain asbestos. Alfonso Angelucci, district superintendent, said the school board was proactive in deciding at its Feb. 12 meeting to prepare for replacing the cafeteria floor this summer. Angelucci said the school has followed all state requirements and has watched the situation carefully. He said every three years the floor has been inspected by a licensed state inspector, according to the guidelines of the Asbestos Hazard Emergency Response Act. Angelucci said the state of the asbestos is far less dangerous, too. “The floor tile is considered non-friable and not a problem,” he said. Non-friable means the asbestos in the tiles is encapsulated in other materials. Friable asbestos is more dangerous and, if disturbed, the nearly invisible asbestos fibers can fill the air and be inhaled. Inhaled fibers could lead to medical problems, including asbestosis, pleural disease and forms of cancer, including mesothelioma. “Right now the material doesn’t present a danger because it’s encapsulated,” Mark Taylor, school board member and chair of the operations committee, said. This year, peeling cover tiles began exposing the underlying tiles, according to Taylor. He said the 1996 covering bought them some time, but with other projects to the same building looming, like a leaking roof, summer seemed as good a time as any to remove the tiles. Angelucci said the peeling tiles have been replaced with fresh tiles to provide a short-term solution until summer. The school’s regular custodial staff continues to monitor the floor daily for any additional peeling. The school board approved Skelly and Loy of Pittsburgh to begin working on an abatement plan. “Our internal timeline is to do it concurrent with the re-roofing project in the same building, after the kids leave for summer break,” Taylor said.